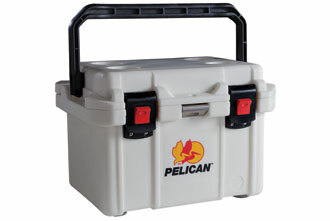 May 20, 2014, Edmonton - Cold beverages won’t be getting warm anytime soon in the Pelican ProGear 20QT Elite Cooler. the beach, the newest Pelican ProGear Elite Cooler holds up to 21 U.S.
pickup handle for easy team and individual carrying. military standards and is engineered with rugged polymer exterior walls. industry leading lifetime guarantee of excellence.